The visitors led thanks to Sadio Mane's well-taken 10th-minute strike - the Senegalese's fourth league goal of the season - before Roberto Firmino's downward header doubled their advantage on the stroke of half-time. However, Rachid Ghezzal - on his first start for the Foxes - took advantage of an awful error by Alisson, who got caught in possession, to give the hosts hope just past the hour-mark. Liverpool stay top of the table having won their first four league matches for the first time since 1990, while Claude Puel's men remain on six points after a second defeat of the campaign. 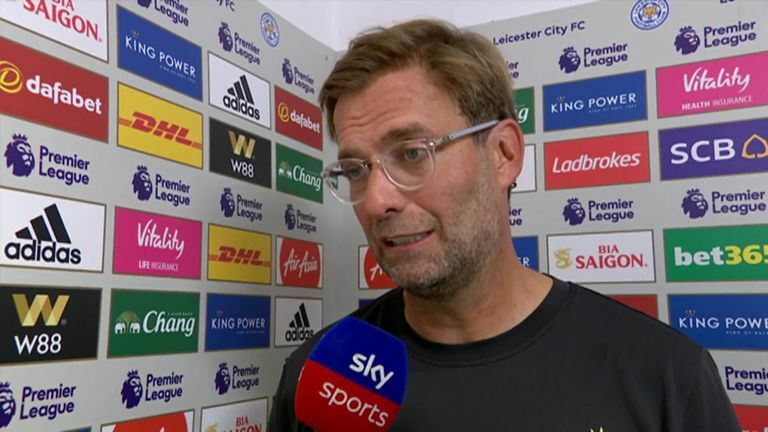 Jurgen Klopp's side arrived at a sun-drenched King Power in buoyant mood having won their opening three top-flight games without conceding, and it showed in the early exchanges. 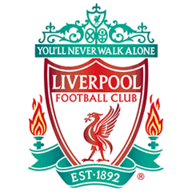 The visitors spurned two gilt-edged chances after just five minutes when first Firmino, who had breezed behind a static Harry Maguire, failed to beat Kasper Schmeichel from close range before Mo Salah inexplicably side-footed the rebound wide of the gaping goal. However, those misses were soon forgotten as Liverpool made the breakthrough after a storming run down the left by Andy Robertson, who bulldozed his way through Ricardo's flimsy challenge. The Scotland international then found Mane on the edge of the area and after the forward evaded Maguire's tackle, he beat Schmeichel with a toe-poked effort into the bottom corner of the net. 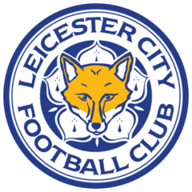 Leicester could have drawn level midway through the first half, only for Alisson to palm away Demarai Gray's shot when one on one with the goalkeeper and just as the hosts started to build up a head of steam, Liverpool struck again. James Milner swung in a corner from the right and Firmino escaped the attentions of James Maddison to plant a header just out of Schmeichel's grasp as the forward got off the mark for the season. The home side came out all guns blazing after the break in search of the goal to get them back in the contest, and they got it thanks to a horrible gaffe from Liverpool's new £67m 'keeper. Jamie Vardy served the last of a three-match ban, with Rachid Ghezzal replacing Kelechi Iheanacho and Mark Albrighton coming in for Daniel Amartey. Meanwhile, Liverpool captain Jordan Henderson made his first start of the season replacing Naby Keita in midfield. Van Dijk was pressurised into playing the ball back to the Brazilian, who got dispossessed by Kelechi Iheanacho as he tried to dribble his way past the substitute in the area. That mistake allowed the striker to tee up Ghezzal for a simple finish into the unguarded net. Luckily for Alisson and Liverpool, it did not cost them. 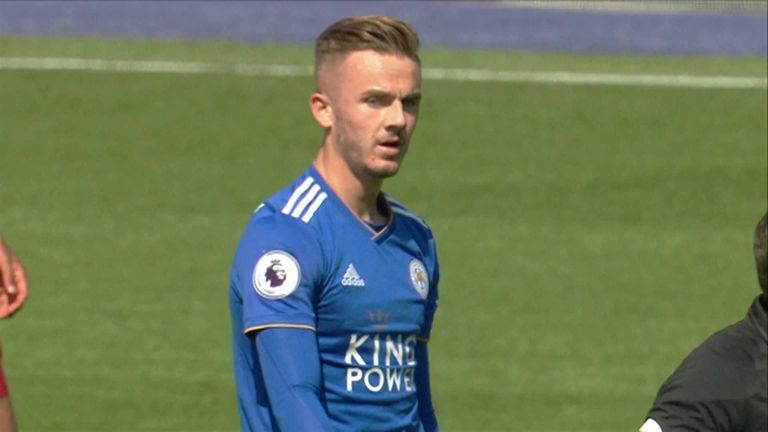 Left-back Ben Chilwell and midfielder James Maddison got England U21 call-ups in midweek, but on the basis of their energetic displays against Liverpool, Gareth Southgate may have missed a trick not promoting the duo to the seniors. However, the England boss will have been heartened by both Joe Gomez’s man-of-the-match performance and the return to action of Jordan Henderson. Gomez was once again a rock at the back for Liverpool at the King Power - highlighted by a magnificent goal-saving block to prevent James Maddison from scoring in the second half - with the silky-smooth central defender starting to form a formidable relationship with Virgil van Dijk for the club. The 21-year-old was recalled to the England squad in midweek after his injury-enforced absence from last summer's World Cup. On the basis of this near-faultless showing against Leicester, though, you can see just why Gareth Southgate was so desperate to bring the player back into the national fold. "I thought he was fantastic, 21 years old, third or fourth game in the Premier League and he looks like he has been here for years. 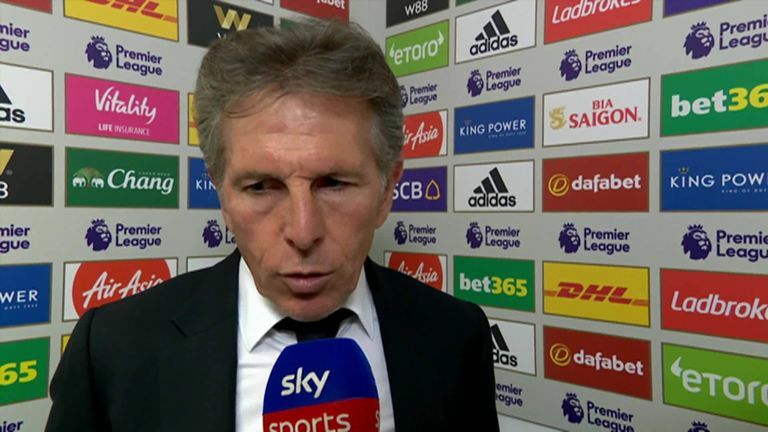 Claude Puel: "I am disappointed for my players because they gave their best. Our second half was fantastic with good quality, good pressing and a lot of chances. "We have had a lot of opportunities to come back into this game. We came back with the first goal and we continued to attack. "It was a shame in the first half to concede the second goal just before half-time, and it was difficult, of course, after to come back." Jurgen Klopp: "We all have to learn from that, not only himself. It was clear last week that it would happen one day - I didn't think it would happen the next week immediately. "But we could have cleared the situation twice before, then they gave the ball back to him and yes, he could have shot it away as well. "It was a bit that mood in the whole team, play it back, play it back, play it back and in the end, it's the goalie. He knows it was his mistake, of course, he's man enough to get that. "I told him that the best game to do it was this one because we won it, so it's all fine now. We know that now we have ticked that box as well." After the upcoming international break, Leicester take on Bournemouth at the Vitality Stadium on Saturday September 15, with the game getting underway at 3pm. Liverpool face Tottenham Hotspur at Wembley earlier that day, with that lunchtime kick-off being shown live on Sky Sports Premier League.